Have you ever said to yourself "I want to get over there, but I'm not sure how to do it?" You might have thought you needed guidance or candid feedback from someone who could provide either, privately and objectively. If that’s the case, then a professional coach might be the answer for you! Coaching is an effective methodology to help you discover avenues for achieving your goals or for overcoming challenges on professional and/or personal levels. Coaching is about expanding your potential, creating alternatives, and discovering new strengths. In a coaching conversation, we invite all parts of ourselves to join in. Coaching is the science behind developing the art of possibility. A US-graduate with rich experience in organizational behavior acquired through a professional career spanning the Middle East, Europe and North America. A coach who walks the talk; an avid reader with a holistic approach to developing others. A subject matter expert with extensive experience in training and development. Meirc uses a coaching technique known as Co-Active* Coaching, which is an experience of personal and professional development unlike other kinds of coaching. Based on the Co-Active Model, it begins by holding employees as naturally creative, resourceful and whole, and completely capable of finding their own answers to whatever challenges they face. The job of a Co-Active Coach is to ask powerful questions, listen and empower, to elicit the skills and creativity an employee already possesses, rather than instruct or advise. The Co-Active Coaching model is approved and supported by the International Coach Federation. *The Co-Active Coaching model was developed by Henry Kimsey-House, Karen Kimsey-House, Phillip Sandahl and Laura Whitworth. It is a proven model that has stood the test of time in its effectiveness for over two decades. The Co-Active coaching model, which was developed by Karen and Henry Kimsey-House & Phillip, requires the coach to use all the elements highlighted in the figure above to ensure the best outcomes for the client. It is a proven model that has stood the test of time in its effectiveness for over two decades. The ICF is the most prestigiously internationally recognized organization in the world of coaching. It upholds the highest of standards in the field ensuring any coach it certifies is rigidly tested in many aspects. Additionally, it provides support and opportunities for the coaches to continually develop and grow. Mr. Ibrahim Al Yafi is a partner with Meirc Training & Consulting. He holds a bachelor of science degree in engineering management from the University of Missouri Rolla, USA and a master of business administration with emphasis on strategic management and international marketing from Southern Illinois University, USA. Ibrahim is a senior certified professional by the Society of Human Resources Management (SHRM-SCP). In addition, he is an associate certified coach (ACC) by the International Coach Federation (ICF). 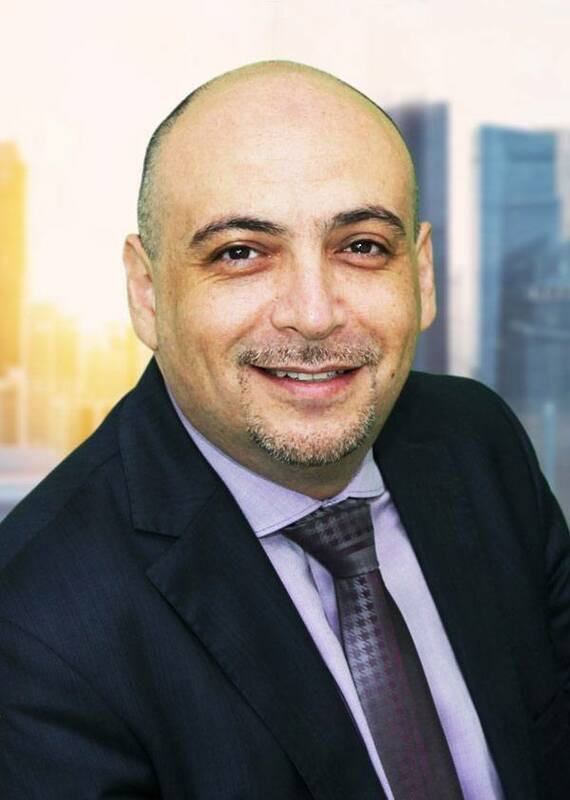 Ibrahim has over 26 years of experience with a wide variety of organizations in the field of human resources covering the areas of talent acquisition, talent development, compensation structures, strategic human resources and motivation. Ibrahim started his career in education and then moved to training and development with Coca-Cola Near East. His experience spans across the government sector, multinationals and large family businesses in the Middle East and GCC such as: Coca-Cola Near East in Cyprus, Arab Insurance Group in Bahrain, Department of Civil Aviation in Dubai, Mannai Corporation in Qatar, SIPCO (a Pepsi-Cola Company) in Jeddah and Royal Group in Abu Dhabi. Ibrahim was instrumental in creating cultural change programs in two of these organizations: Mannai Corporation and SIPCO, where he facilitated the development of top organizational level strategies and tactics to implement the newly established cultures. As a human resource professional, Ibrahim effectively coached and counselled senior executives on developing competence in many personal and managerial areas. With Meirc, Ibrahim capitalizes on his wide areas of expertise in human resources, recruitment, coaching and counselling. In addition, his culturally diverse experience has equipped him to understand human nature and the importance of emotional intelligence in business and daily life. As such, Ibrahim delivers training courses in the areas of human resources management, training and development, leadership, cultural change, as well as self-development and interpersonal skills.